Weekends are made for adventures. 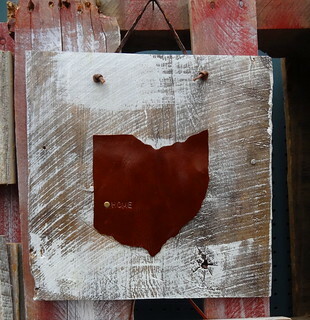 Often we have only 2 or 3 days at a time to get away, making Ohio an obvious destination. In about an hour we can be looking at Masterpieces at the Toledo Museum of Art, in under 3 hours we can be walking around Westside Market in Cleveland, just over 3 hours gets us to Historic German Village in Columbus where we can roam quaint neighborhoods with brick streets and sidewalk cafes. Today we are headed to Dayton, about a 3 1/2 hour ride from the D; it’s just the first stop on our extended getaway spanning the time between Christmas and the New Year. The Jeep is loaded and ready to go, climb in and come along as we explore southern Ohio. 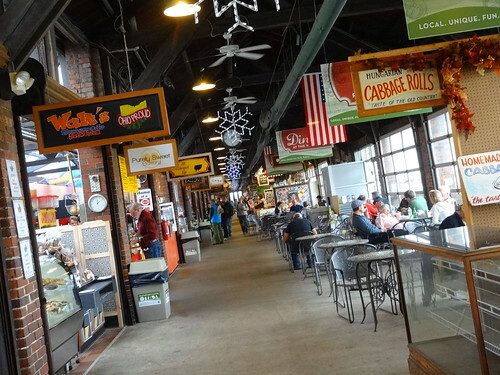 We haven’t spent much time in Dayton, we’ve visited the National Museum of the U.S. Air Force, which is pretty awesome; this time we’re hitting the streets of downtown Dayton, first stop 2nd Street Market. Who doesn’t love a market? 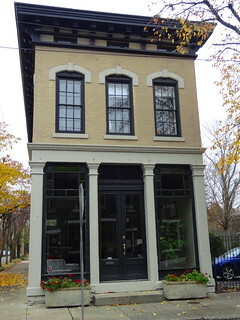 Local vendors selling fresh produce, baked goods, wine, chocolate and handmade items line the interior of this historic block-long building. Built in 1911 for B & O Railroad the former freight house was saved from demolition and renovated in 2001, giving the market a year-round presence. 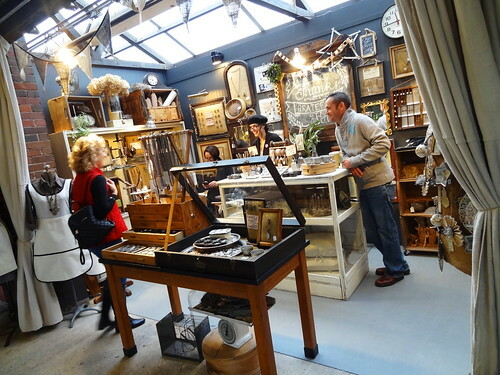 Home to about 50 vendors the rustic space is quaint, holiday decorations make it festive today. 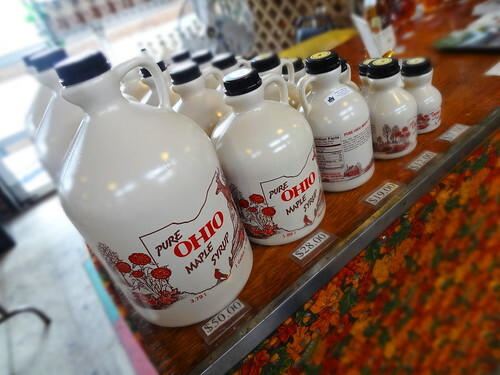 We stroll the single aisle, grabbing a peanut butter cookie along the way, checking out Ohio-centric items. 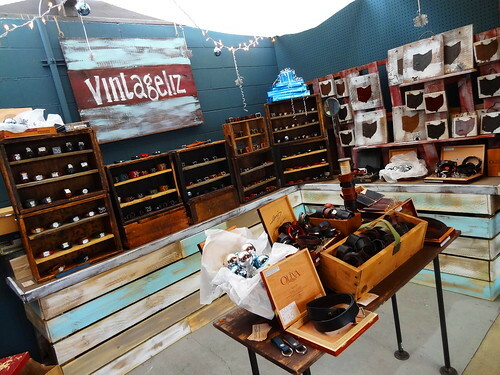 Artisans offer goods such as jewelry, leather pieces, Alpaca sweaters, scarves and hats, some good old-fashioned Maple syrup. Light seeps through roll-up glass doors, it must be wonderful to have them open in the summer. Cafe tables are full of diners enjoying a snack or lunch from one of the many food stalls. 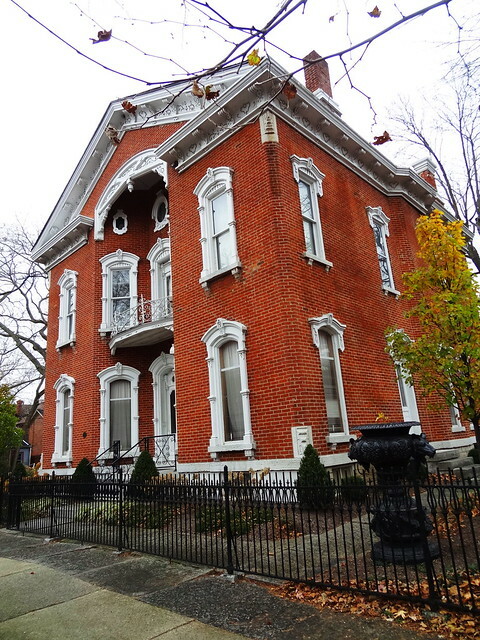 A short drive away is the Oregon District, a historic neighborhood and business district in the heart of downtown Dayton. 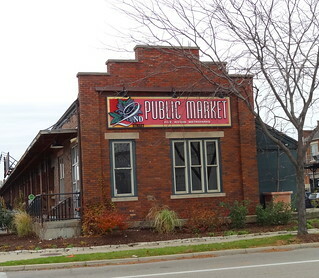 Art displays and colorful graffiti fill the space between the market and the district. The city of Dayton is on the banks of the Great Miami River, the Miami-Erie Canal opened in 1829 bringing wealth and prosperity to the city. 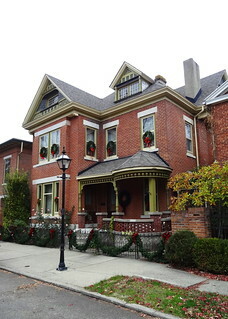 The 12-block Oregon Historic District is Dayton’s oldest surviving neighborhood, homes range from simple the architecture of early German settlers to the mansions of prominent citizens on Jackson Street. It has just started to drizzle, we grab our umbrellas and set out for a walk. 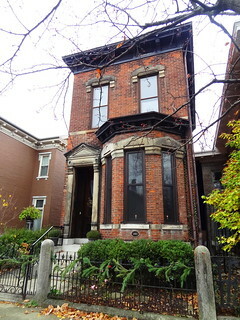 Red brick Victorian’s and Queen Anne’s grace the streets along with Italianate, Federal and Greek Revival styles. 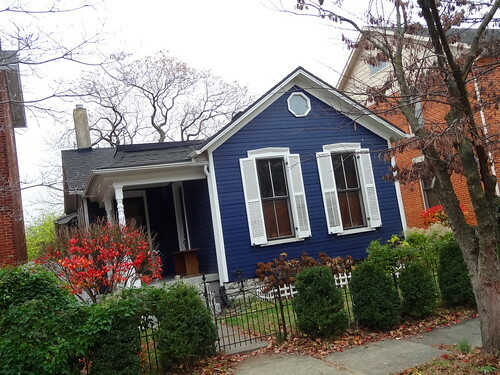 Large covered porches are common, quite lovely. 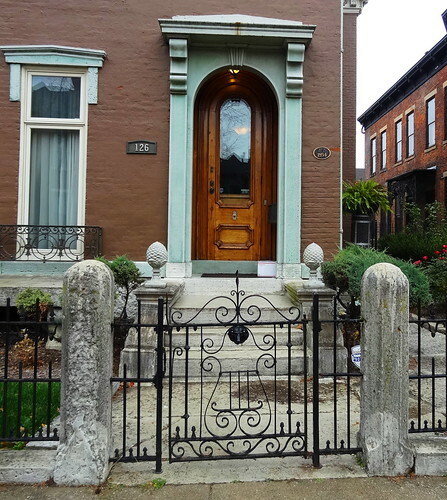 Stained glass windows are surrounded by ornate window pediments, gorgeous wooden doors welcome visitors. 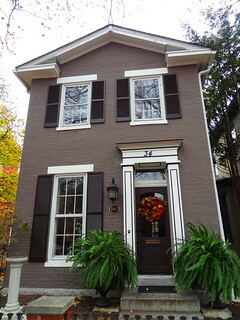 Here it is common practice to paint the brick, giving owners a wide pallet to choose from; blue, gray, taupe and red all make an appearance. 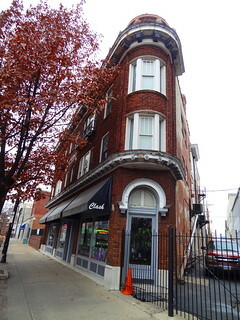 One of the most unusual was a red-brick-beauty decked out in fanciful white trim, a center section of the house is inverted, kind of like a reverse turret, haven’t seen that before.We make our way to the business district, we stop in at Press Coffee Bar to have a coffee and dry out. The space has an open airy feel to it; light wood accented with a painted tin ceiling adds character. 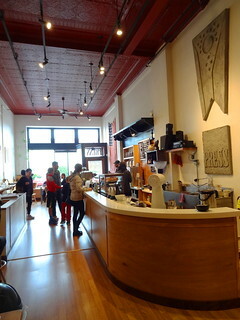 The shop roasts and serves Wood Burl Coffee. We order at the counter, before we know it were back outside, cups in hand, meandering down 5th Street. 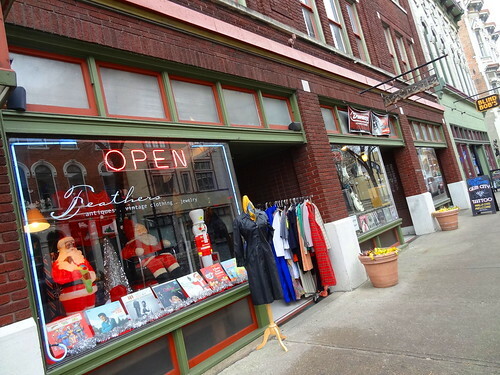 5th Street is the heart of the Oregon business district between Patterson and Wayne. 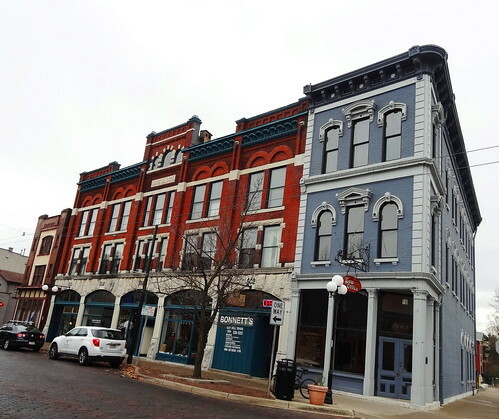 Here historic architecture is brought to life with restaurants, bars, galleries and shops. 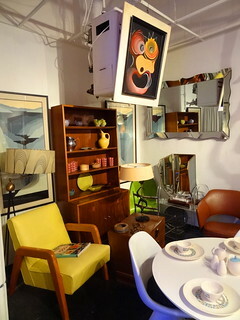 The vintage glass display in the front window of Jimmy Modern draws us inside, a Tulip table and chairs set, fabulous light fixtures and Mid-Century Modern furnishings bring smiles to our faces. 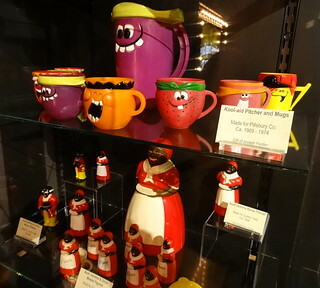 The shop has a wonderful array of lighting, furniture, glassware and accessories. Old-fashioned lamp posts line the street, most buildings are three-stories tall, tables and chairs are holding out for one more nice day in front of a cafe; businesses are locally owned. 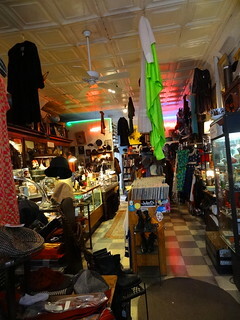 We traverse both sides of the street, in and out of shops, lingering the longest in vintage stores Feathers, Eclectic Essentials and Clash. Back in the Jeep, we drive to Carillon Historical Park, a 65-acre park and museum built in 1940 containing historic buildings and exhibits telling Dayton’s history from 1796 to the present. 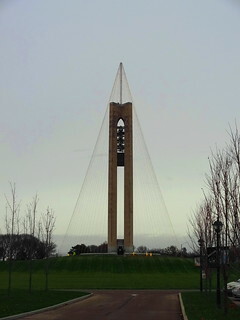 Getting out of the car we direct our attention to the 151 foot-tall Deeds Carillon, an Art Moderne style carillon tower built in 1942. Ohio’s largest carillon it has 57 bells and from May to October you can catch a live concert every Sunday. Currently it is draped in lights for the holidays, it must be quite a sight when it gets dark. Inside the Heritage Center Museum the history of Dayton unfolds in exhibits featuring the people and manufacturers that developed the city in the early years. One of the first exhibits features old-fashioned cash registers, you know, the kind you see on all those antique and picker shows. These are amazing. 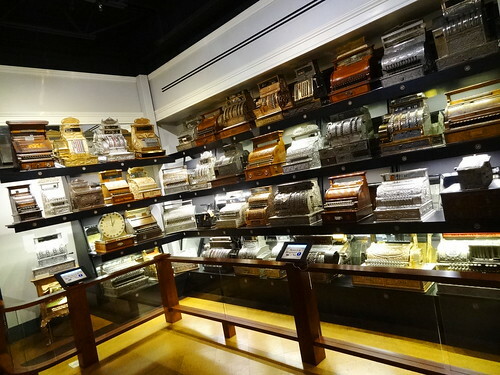 Turns out John H Patterson founded the National Cash Register Company right here in Dayton Ohio, he was the maker of the first mechanical cash register. 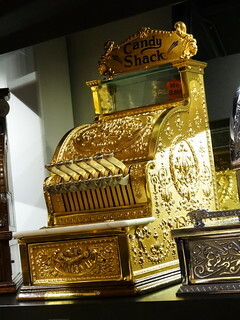 These stunning cash registers are found throughout the museum, I have to stop at each one and marvel at the different cabinet styles, the press down keys, the patterns on the brass, bronze and nickel models; fine scroll, wide scroll, fleur-de-lis and Art Nouveau, they are magnificent! I read placard after placard trying to take it all in; I recognize names like Patterson, Deeds and Kettering from street and building names in town. 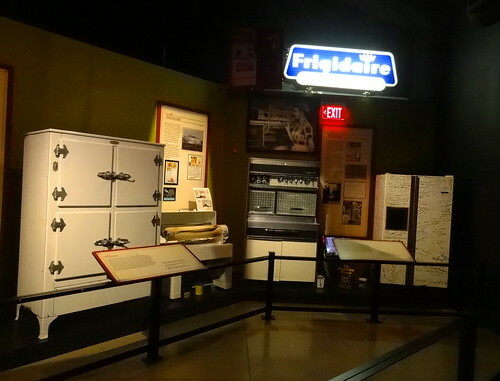 Dayton has a pretty impressive resume, Huffy, Delco, Frigidaire, NCRC all called the city home. 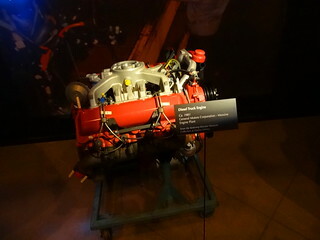 Manufacturing was huge; Kramer Brothers Foundry, Dayton Malleable Iron Co., Dayton Wright Airplane Company, General Motors Engine Plant, just to name a few….. 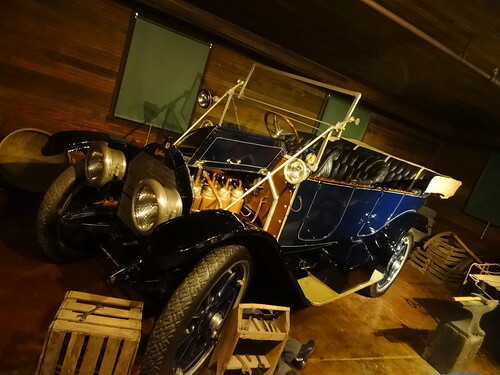 The museum is fascinating, so well done, so enjoyable to visit. 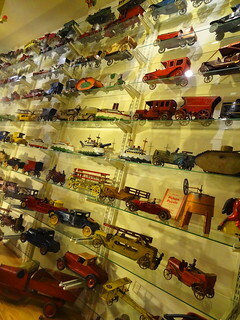 Full size displays of automobiles, appliances, toys, novelties, bicycles, even a carousel. 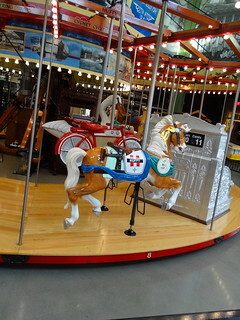 The Ohio-made Carousel of Dayton Innovation is truly one-of-a-kind, in addition horses you can sit on a cash register-style bench, a bicycle, streetcar or locomotive, gaze at hand-painted murals depicting the Wright Brothers, all to the sound of 1930’s tunes, very cool.